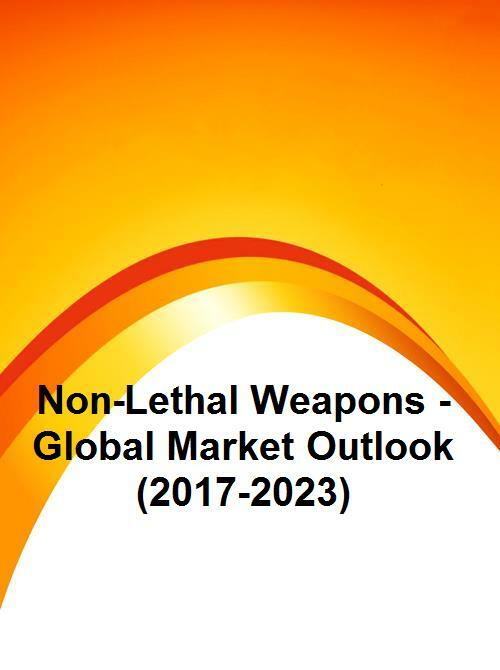 The Global Non-Lethal Weapons Market accounted for $6.32 billion in 2016 and expected to grow at a CAGR of 9.4% to reach $11.85 billion by 2023. Factors such as increasing research and development, increasing defense expenditures of emerging economies, rise in the rate of violent crimes, demand for small arms and light weapons are driving the market growth. However, Stringent Environmental and Governmental Regulations, Declining Defense Budgets and opposition from human rights activists are hampering the market growth. Directed energy weapons segment is projected to grow at the highest CAGR among products due to technological advancements in this sector. The chemical non-lethal weapons segment dominated the market during forecast period. However, Acoustic non-lethal weapons segment is expected to grow tremendously due to inclination towards crowd repellent weapons. The law enforcement segment market is anticipated to command the largest market share during the forecast period. The military segment market is growing significantly because the lethal weapons systems are enhanced efficiently for military operations. North America accounts for the largest market revenue share as U.S. is observed to be the largest developer, operator and exporter of non-lethal weapons. Asia-Pacific region is the fastest growing market because India, China, Australia, South Korea, and others have focused on development of non-lethal weapons for military and law enforcement application, such as border control and riot control. Some of the key players in Global Non-Lethal Weapons Market are BAE Systems, PLC, Herstal SA, Armament Systems & Procedures Inc, Raytheon Company, Lamperd Less Lethal Inc. , Mission Less Lethal Technologies, Condor Non-Lethal Technologies , Pepperball Technologies, Inc. , Lrad Corporation, The Safariland Group, Amtec Less Lethal Systems Inc, Taser International, Inc. and Combined Systems, Inc.
10.5 Lamperd Less Lethal Inc.